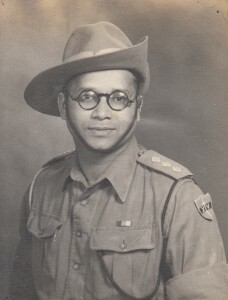 Satyen Basu, a doctor from Calcutta, joined the Indian Medical Service (the army medical corps) early in the Second World War and served with the Allied forces in Iraq, Syria and North Africa. His unit surrended near Tobruk in 1942 and he was transported to a POW camp in southern Italy, not far from Naples. Many years after the war Dr. Basu wrote an account of his wartime experiences. Entitled A Doctor in the Army the memoir was privately published in Calcutta in 1960. Over the next few days I will post some pages from the book: Dr. Basu’s words are transcribed here just as they were printed, without any editing. This is part 4 of 4. One was entitled to write two letters in a week, but for medical men it was a privilege that we were allowed to write four. Naturally loath to write letters, I did not know what to do with all those letter cards. But in the prison one is keen to hear from outside. For all these seven months I had been writing to every acquaintance whose address I knew anywhere in the world in the fond hope of getting a reply from some one sometime and thus make contact with the outside world. I had almost given up hope when one afternoon Capt. K our postal officer appeared with his usual frown on his forehead. He gave you the impression as if he was always annoyed at you. But it was just a feature of his face which belied the man. He did a good Samaritan’s job collecting all incoming and outgoing mail and helping the Italians in consolidating them. Air service had been introduced for outgoing mail since October, and Capt. K had to collect the stamp charges and stamp them. He had brought for me a post card from uncle B. This was the first contact I had with the outside world in eight months and I was so overjoyed to receive it that I even forgot to thank him. “Any luck with you?” I asked him a little later. “No,” he said with a sad face. In his ten months’ stay inside the prison Capt. K had delivered hundreds of letters but had never received one himself. Not that there was nobody to care for him. He had received once a clothing parcel from home. But his letters somehow missed their way. It took about two months for a letter to go either way, so one could expect a reply in four months’ time. Our letters used to go via Sofia and Istanbul. Letters bound for England used to travel via Rome and Lisbon. Air mail service was established and I was fortunate enough to receive all told half a dozen letters from India in another three months. But I think the most important letter that was delivered in the camp belonged to Capt. N, the gunner officer. He was in charge of the Red Cross parcels. His wife was in the family way when he was caught five months ago, and he had not heard anything since. An honest and efficient officer as he was, Capt. 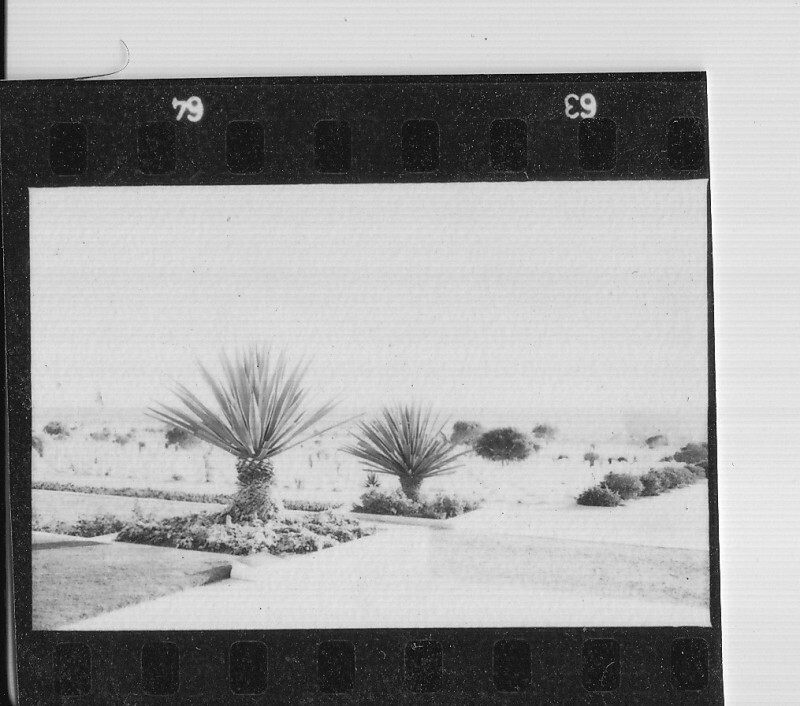 N was a bit fidgety and quick tempered, and this suspense and worry about his home had made him almost a neurotic, when came a letter with photos of his wife and newly born daughter. All the offrcers shared Capt. IY’s joy. I sent my felicitations to his people in a poem entitled To Miss Shiela N, which showed me out as a real sympathiser of Capt. N and did more than anything to cement my friendship with him. As we were steadily settling down to this prison life more amenities were added. We knew that the prison authorities did nob provide them out of sheer benevolence. A Swiss representative of the international Red Cross used to visit the prison camps once in two months to check up if facilities given to prisoners were according to international convention. As they had the maximum number of prisoners of war belonging to a nationality, the Italians were rather afraid of reprisals. Wooden cupboards, stools, and chairs enough according to proportionate strength, had been provided a week previously. Fresh blankets and linen were provided for the bed in the medical inspection room immediately before the Commission’s arrival. The commander proudly showed him the nice stage we had made in the recreation room as if it was one of his achievements. But more facilities were added. A fenced paddock about 160 sq. yard in area and adjoining our camp area was made available to us in the day-time. We leveled up the whole area, and converted it into a rugby and basketball ground. Balls were available and the matches were extremely interesting and enjoyable not only because they created after a long time an atmosphere of freedom, but also because the games had to be played with more pluck than dash. For even if one did not mind a broken limb, one had to be careful about one’s clothes. From the paddock one could see the smouldering Vesuvius at a distance, and in the evening, even the flames. But the most coveted blessing was the arrangement made for a hot bath. Used to daily baths in normal times, the lack of facilities for a bath had been the biggest scourge to an Indian in the desert. Now that water was available in plenty in the three bath-houses, we used to bathe daily even if it was freezing outside. But a cold bath, though refreshing, does not always clean. The dirt sticks to the grease on the body and cannot be washed away with cold water. They first made a temporary arrangement for a hot shower bath by fitting water pipes into a boiler lit by faggots. The whole room would be full of smoke, and not more than eight or ten men could be accommodated at a time. Water was scanty and on rare occasion would suddenly stop when you had only half washed away the lather: from your body. With all that, the announcement for a day of hot bath was looked forward to with keen interest. Imagine our delight when geysers were installed and a big hall with arrangements for thirtyfive showers working at a time were now open to us. We could now all have a hot bath every week and there was plenty of water not only to wash our bodies but even to wash our clothes. An Indian does not normally take a bath naked in the presence of another person. The army life had helped us to get over it in most cases, though some of us were still shy. But thirtyfive persons in one hall, having a bath together with nothing on but their bare skin certainly gave them enough moral courage to do away with that silly prejudice. One thing we had to be particularly careful about-soap. Soap was rare in Italy and a cake of good toilet soap of the kind we used to have in our Red Cross parcels could not be had for any price. Naturally a night sentry could not resist his temptation if he discovered such a thing handy on the window-sill. He has no interest in the soap case. Or if you forget to carry your soap while coming out of the bath-room, you were sure to miss it even if you returned within a minute. The small bits of soap that were thrown away used to be carefully collected by the sentries accompanying us. That was precious stuff, they assured us. In spite of our taboo we had by now mixed with Italians enough to know some of their characteristics. Monarchist or fascist, most of them disliked the war and never failed to express it when given a chance. The order forbidding an Italian sentry to talk to us, prisoners, was more a punishment to him than to us. For an Italian loves to talk, and talk with gesticulations of limbs and body. He was dying for a talk. Talk to him a few words and he would at first entreat you not to break orders but if you persisted, instead of getting annoyed with you he would blurt out and open his mind to you. “I am as much a prisoner here as you are, with this difference that whilst you can at least talk amongst yourselves, I can talk to none. I am longing for the day I can discard this army uniform,” a sentry confided to me. But a carabinieri sentry was more reserved. The Carabinieri was the peace-time police army in Italy. As policemen they are the very pick of the Italians, and can be depended upon by whoever he is serving under. Handed over from the old Royal army, they were an asset to Mussolini when he took over the reins of affairs from the king. And again an Italian from the north is very different from the Neapolitans. He (the Neapolitan) speaks a different tongue altogether, has a good mixture of dark people and is generally exuberant in his feelings, while a Northerner is taller, fairer and more reserved. I had to go to the camp office on a few occasions. The office lacked dignity to our disciplined mind. For a Neapolitan can never talk quietly. He has to shout and gesticulate. Everybody shouting at everybody, it looked to me more like a fish market than an office. But it was normal with them. It also gave the accounts clerk an opportunity to talk to me officially. Eager to make friends, he immediately utilised this privilege in making my friend- ship. On a flimsy pretext he came to my room only to talk to me for an hour, when he showed me the picture of his sweetheart to be appreciated. But whether from the north or the south or whether a fascist or a monarchist, the Italians had one common sentiment – their hatred for the Germans. I gathered it was more a reaction of the German contempt for the Italian as an inferior race. It was apparent, the unity between the two peoples was very artificial and their fight as brothers-in-arms did not remove that feeling. As a matter of fact, the Italian happened to be ruled by the German even in his own country. We learned that all the anti-aircraft guns were manned by Germans-the Italians were not trusted for key jobs. There were two railway lines going on either side of our camp. We used to watch them and keep notes as to how many trains were travelling in which direction, and what stuff they werecarrying. And it was remarkable that Italians had mostly to travel in goods trains, for the passenger trains had to be allotted to the Germans. Many years after the war Dr. Basu wrote an account of his wartime experiences. 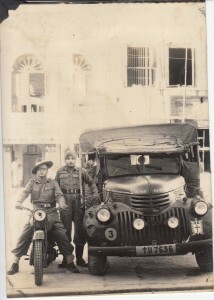 Entitled A Doctor in the Army the memoir was privately published in Calcutta in 1960. Over the next few days I will post some pages from the book: Dr. Basu’s words are transcribed here just as they were printed, without any editing. This is part 3 of 4. To our list of occupations for passing the time were added practical jokes though they were naturally never appreciated by the victims. (And to think that those who protested vehemently their captivity had by now developed that stable temperament to indulge in jokes.) They were not any the less interesting for that and worth mentioning. One morning Capt. M the seniormost doctor in the camp received a letter from a friend that he had been promoted to the rank of a Major, which news he had been expecting to receive for some time. The letter had experienced the censor’s scissors as usual, but that portion was discernible. An officer happened to drop in when Capt. M was reading the letter from his friend and naturally Capt. M told of his recent promotion. The story spread, so we all in our turn went and congratulated Major M who even promised to entertain us with a party. He was furious when he learnt that the letter had been forged, and complained to the camp commander that the culprit must be brought to book. In vain did Major K remonstrate with him that the wisest thing was to ignore such trifles. But the matter did not roll further. Canadian parcels, through the Red Cross. This was the first time that egg flakes came. The chicken never laid the eggs-as a matter of fact it was a rooster. Major A was furious at this slight at his dignity by a petty subaltern. But the joke was worth it and I am sure in his quieter moments he had enjoyed it himself. Incidents like these made Major K’s task of managing or commanding the camp certainly no easy matter for if he was flouted by a subordinate, his only court of appeal in the circumstances was the Italian authorities. And that would never raise us, Indians, in the estimation of the Italians. It was up to the officers not to allow any such occasion to arise. But unhappily not all people realised it. And those who did were often the victims of other people’s unscrupulousness. There were other troubles too. A suggestive hint from the Italian camp Major that Subhas Chandra Bose could come and talk to us if we wished was just waived aside. The news leaked out to .us though that there was a Marhatta L.-Nk. who was working for a Free Indian army and he had already made a dozen converts. Then there was the talk if we would do away with the British National Anthem GOD SAVE THE KING and replace it by Iqbal’s song at the close of Indian concerts. A compromise was finally arrived at and both were sung. Major K’s difficulty in handling the situation could only be understood in that particular context. The situation has now entirely changed and many such problems would not now arise at all. Many years after the war Dr. Basu wrote an account of his wartime experiences. Entitled A Doctor in the Army the memoir was privately published in Calcutta in 1960. Over the next few days I will post some pages from the book: Dr. Basu’s words are transcribed here just as they were printed, without any editing. This is part 2 of 4. Since December it had been freezing cold, yet we had no winter clothing. People used to go about wrapping themselves in blankets. With only two blankets and not quite good stuff at that, the nights were spent mostly without sleep. With two cotton bed sheets and two blankets we attempted all sorts of experiments to make ourselves warmer but in vain. Finally we just wrapped ourselves with two layers of blankets with the bed sheets in between the blankets-and that helped. I had purchased a pair of cotton gloves from ordnance people.That did not prevent chilblains on my fingers. Every night it was a problem with me whether to sleep with gloves on or not. To get up early in the morning to attend the parade was a regular ordeal and quite a number of people including doctors started faking sickness just to avoid the morning roll call. Soon we were in the middle of January, the bitterest cold part of the year. In the morning, the ground first soaked in dew used to freeze hard like rock. The icicles hanging from the corrugated roof of our bungalow and snow streaks on the Vesuvius in the distance were lovely to look at. To go about without winter clothing was not so pleasant. But at last, thanks to the good old Red Cross, the winter clothings did arrive. Woollen vests, drawers, jerseys and gloves, serge battle dress and greatcoats. Here again the stock was limited and one could only have what he did not possess. And here again responsible King’s Commissioned Officers did not flinch to tell a lie if only to have an extra pair of gloves, not to speak of a greatcoat. It was slowly revealed to me that this prison life was really not so bad as I at first apprehended. Of course, man is adaptable, we Indians possibly more so than others. For centuries we have been used to an autocratic rule, good or bad, and quietly submitting to fate seemed natural to us. To me, personally, it was not at all an uncomfortable life. Normally my needs are small and food, now that the Red Cross parcels were regular, was just enough for me. Not being used to a fast life, I did not much mind the restrictions to our movements. After all even in the field one does not go about a lot. It was a life free from responsibility and comparatively free from danger. I could now quietly get into my corner and read a book. As regards books, we were in happier position than the other camps. That was because we had our quota through the Red Cross in proportion to our strength, and as the bulk of our members consisted of V.C.O.s only a few of whom could read English. When I spoke my mind to Lt. Y the Cavalry officer and asked him how he felt, he replied that it was in this prison that he had spent some of the best moments of his life. Never before, he declared, was he so free from worries and allowed to follow his own pursuits – books. Most of the other officers used to protest about their sad plight. But even those were not so dejected as not to make the best of the facilities available. For instance the camp commander did not object to our purchasing from him a dilapidated wooden hut for Rs. 5000. They also lent or sold us some carpenters’ tools and our sappers erected a magnificent stage with sliding screens in the recreation hall. The pugri cloth offered by the Sikhs made beautiful saris and some clever V.C.O.s used to make nicely designed dress from the paper packings and tinfoil wrappings from the food parcels and cigarettes. We had bought a few musical instruments and received one as a present from His Holiness the Pope. So we started a full-fledged Indian concert party. There was not even a dearth of playwrights. Soon it became a regular fortnightly show. Starting with small pieces, we later ventured on a full-length drama which, with our limitations, was a grand success. The Gurkhas particularly gave us another surprise. The most disciplined soldier in the world, the Gurkhas are generally associated in the Indian mind with military repression during mass upsurge. It is difficult to imagine they had an artistic mind or that they appreciate art. But they gave some notable demonstrations of the Indian dance. There was a talk of putting walls round our camp so that we might not be exposed to the curious gaze of Italian civilians from outside. From our point of view, we did not mind at all being seen by other people, though we were inside the barbed wire fencing. As a matter of fact, this afforded us the opportunity of seeing a few civilian faces and we liked it. We were forbidden by the prison authorities on pain of punishment to communicate even with an Italian sentry, not to mention a civilian. But we frequently circumvented that order, and the Italian sentry did not mind much. And the Italian civilian was generally of a congenial temperament. It was interesting to see an old dame trying to convey her sincere sympathy to us by her gestures and her grandchild corroborating her sentiments. It was then our turn to throw a bit of chocolate that we had from the Red Cross parcel just to see the child smile. And how ardently it conveyed its joy on receiving that bit of chocolate! They were poor villagers and in these days of ration they could not usually afford chocolates. had fought in the war meant that it loomed especially large in my family. My father had seen action in several theatres and had also served for a while as one of Lord Mountbatten’s ADCs. Like many soldiers he was a wonderful story-teller and possessed a large fund of enthralling war stories. We saw many war movies together, including Hum Dono, one of the few such made in Bombay (starring Dev Anand; a colorized version was recently re-released). But when I think back now it strikes me that some of the best of these war movies were actually prisoner-of-war movies: The Great Escape, Van Ryan’s Express and the unforgettable Bridge on the River Kwai. My father’s life would might of course have taken a different turn if he had himself been captured. The thought of this was, I am sure, never far from his mind since many of his fellow-soldiers did, in fact, spend much of the war in captivity. 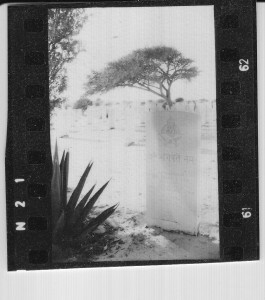 The North African theatre took an especially heavy toll on Indian regiments: from El Alamein in Egypt to Benghazi in Libya the desert sands are dotted with the headstones and graves of casualties from the subcontinent. Thousands of Indian soldiers were also taken prisoner and moved to Italy. One such prisoner-of-war, whom my father might well have known, was Satyen Basu, a doctor from Calcutta who joined the Indian Medical Service (the army medical corps) early in the war and served with the Allied forces in Iraq, Syria and North Africa. His unit surrended to the Germans near Tobruk in 1942 and he was transported to a POW camp in southern Italy, not far from Naples. The smouldering cone of Vesuvius figures often in the memoir so my guess is that he was in the prisoner-of-war camp in Aversa, in the Campania region (for a full list of Italy’s World War II POW camps look here). Of course nothing in life is ever as one expects – but Dr. Basu’s account of his life as a POW seems almost unbelievable in an age in which captivity in conflict has come to be associated with hostages and beheadings on the one hand, and on the other with Guantanamo Bay and Abu Ghraib. Over the next four days I will post a few pages from A Doctor in the Army. Dr. Basu’s words are transcribed here just as they were printed, without any editing or corrections. from A Doctor in the Army, Satyen Basu, p. 139. Lt. Y was one of the most intelligent young lads I had ever met. Born of a royal family in one of the Indian states his early education was in the R.I.M.C. He was thus earmarked for an army career. He had proved himself an able officer in the cavalry regiment that he was serving in. But I am sure his intellectual equipment was misplaced. At 22 he was a good portrait painter, and a connoisseur of music and the dance. In two months he had brushed up his knowledge of French which he could now speak fluently, and was well up in the German language. It seemed he normally agreed with Aristotle that intellectual attainment is the greatest pleasure of life, for he kept most of his time within his room reading some book or other. And yet he had a keen sense of humour. I got friendly with him in studying together a few lectures on psychology delivered by a professor in his former camp. But it was his amiable nature that made me his friend. So it was now a purely Indian camp and Indian officers from other camps in Italy were gradually being brought into this camp. Things were steadily improving. What with the Red Cross food parcels and what with the fruits and vegetables we bought from the contractor at a heavy price, food was now adequate. And price was not the question when things are available. It certainly raises the question in readers’ mind as to where we got the money from. By international arrangement a prisoner of war gets paid by the enemy in their currency a sum equivalent to quarter of his pay. So we used to be paid that sum in coupon lire which were valid only inside the camp. It was a precaution against our possible attempt at bribing the civilians to manage our escape. The quarter of our pay is thus debited in our account by our Government as ‘enemy cut’. We also lose quarter of our pay for being a prisoner of war. Whether this loss of a quarter of one’s pay was meant to act as a deterent to a prospective prisoner, or whether the financial authorities cool their conscience by realising or whether the financial authorities cool their conscience by realising some money from people who do not work for the Government I still do not know. But one certainly does not gain financially as a prisoner of war. Nevertheless the payment made inside the prison made all the difference in our lives. It not only allowed us to pay for extra food to keep the wolf from the door and get the daily necessities like a razor blade or a tube of toothpaste, but it also permitted us to have occasionally a few luxuries like ice-cream or vino. The canteen was increasing its stock. In the days of the South Africans they had had fountain pens and tobacco pipes in the canteen. Now even a violin was available. The violin cost about Rs. 100 in Indian money. Now, I had never played the violin before, but I thought it would be a nice thing to start learning it in the prison just to kill time if for nothing else, particularly when there were a Gurkha V.C.O. and a Madrasi V.C.O. who were well up in music and eager to teach. The tragedy of it was that it killed other people’s time more than mine. It was not so with my German which I had by now started seriously to learn from a book, after being initiated into it by a brother officer. I am grateful to Dr Swapan Chakravorty and Shri Kalyan Mukherjee of the National Library in Kolkata for their help with locating this book.